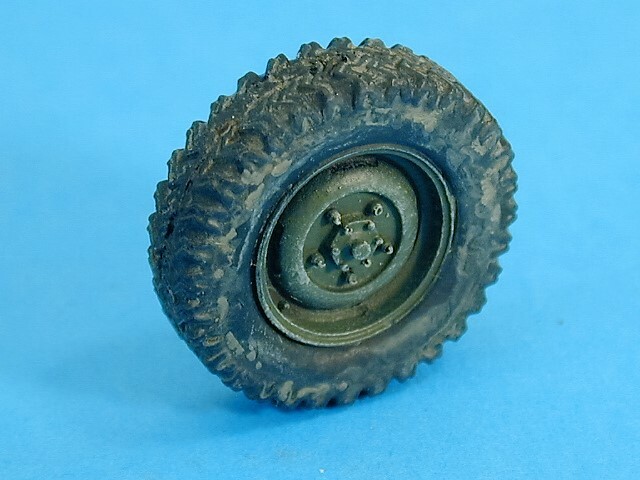 Replacement 1/35th scale tyre set for either the Tamiya Land Rover Series IIa Ambulance kit (35082) to represent service from the mid 1970s or to upgrade the Revell Land Rover Series III kit (03925) to the correct tyres for its entire service life. 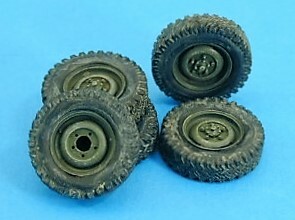 The set contains 4 resin wheels plus spare with full tread detail, correct tread depth and the 6.5 by 16inch rims. Also contained are instructions for fitting to both kits and the correct track measurement.